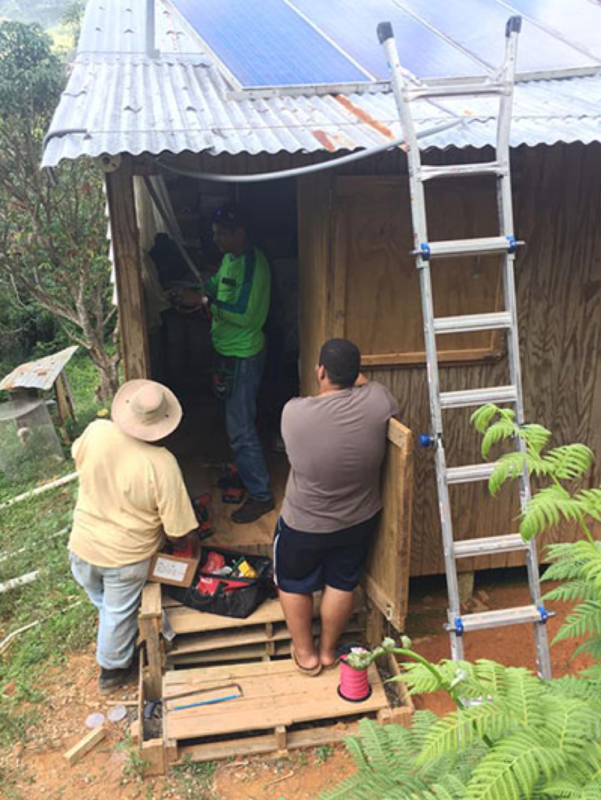 Catalyst Project: a center for political education and movement building | A Year After Hurricane Maria — Paradise for Whom? A Year After Hurricane Maria — Paradise for Whom? As the Puerto Rican people prepare to mourn their dead on the one-year anniversary of Hurricane Maria, Trump showed his callous disregard for their suffering by praising his administration’s response to this unfathomable disaster as an “incredible, unsung success.” But this was far from the truth. The disposability of Puerto Rican lives was painfully clear in the unequal distribution of emergency aid: FEMA approved $141.8 million in assistance for victims of Hurricane Harvey in Texas, while just $6.2 million was earmarked for the survivors of Hurricane Maria in the same time frame. With 80% of the island’s crops destroyed during the hurricane, shipments of aid sat in the port undistributed for months while people in the interior went hungry and had no medical care. Adding insult to injury, Washington attempted to suppress the catastrophic scale of the hurricane by citing a death toll of 64, when subsequent studies put the toll at nearly 3,000 dead. A year later, some areas still have no electricity or clean water. An estimated 400,000 people have left the island, many permanently. Frontline communities, especially communities of color are hit first, worst and hardest in these kinds of climate disasters. We’ve seen this racist response of official neglect before, in the way the Bush regime treated Black New Orleanians (and migrant workers) after Katrina, and in the response to the earthquake in Haiti in 2010 which left over 300,000 dead in its aftermath. Hurricane Maria provided the perfect opportunity to bring out disaster capitalism’s playbook. The island was already devastated economically, saddled with an unpayable and immoral debt of $74 billion.This highly contested debt was generated by Wall Street banks which underwrote huge loans in the form of bond purchases and then sold those bonds to hedge funds, raking in tremendous profits. In 2016, the U.S put the economy of the island in the hands of a 7-person PROMESA fiscal control board (only one of whom lives on the island) to institute severe austerity measures and preside over the virtual “fire sale” of Puerto Rico’s public assets. The first public asset scheduled to be sold off is the Puerto Rican Electrical Power Authority, followed by a plan to shut down 300 schools to make way for a privatized system–this mirrors the dismantling of the public school system in New Orleans after Katrina. Puerto Rico’s Governor Rosello described post-Maria Puerto Rico as “a blank canvas” emptied of Puerto Ricans to make way for a new population – of wealthy Americans, Europeans and Asians who can accumulate profits without paying capital gains tax or income tax on anything earned on the island. Their dream? A Puerto Rico of cryptocurrencies, gated communities, private beaches, and piña coladas. Casa Pueblo promotes self-sufficient renewable energy through its #iLuminarPRconSOL campaign. Teachers and students have intensified their organizing against privatization. And people continue to take to the streets. 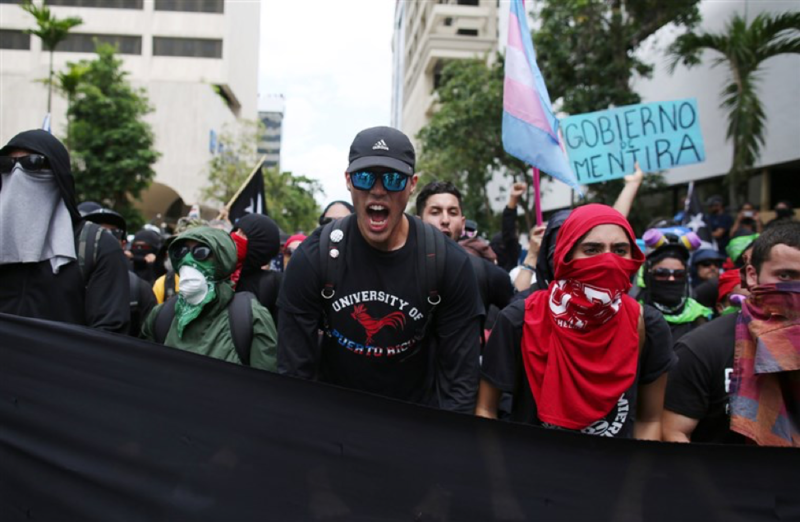 From September 20-27, there will be solidarity actions across the U.S., and an International People’s Tribunal is set for October 27 in New York City to hold the U.S. accountable for its crimes against Puerto Rico. A year ago, Hurricane Maria ripped off the mask, exposing the colonial reality of Puerto Rico for everyone willing to see. Her people have responded with creativity and resilience, as they have done for 120 years of US colonization. This is only one battle against environmental racism embodied in the coming climate wars, but it’s one that requires our solidarity if we are to move closer to climate justice and a decolonized world. Installing solar panels, Casa Pueblo. This week communities in North and South Carolina have faced devastation as Hurricane Florence has caused some of the worst flooding in the area in recorded history. As we saw with Hurricane Maria, the worst impacts of climate disasters fall on poor communities and communities of color. This is one of the reasons it’s so important money that does into relief efforts on the ground bolster organizations that are fighting for racial justice and a sustainable and just economy. See “A Just Florence Recovery” for ideas on how to support both loved ones and strangers who are being impacted by the storm.